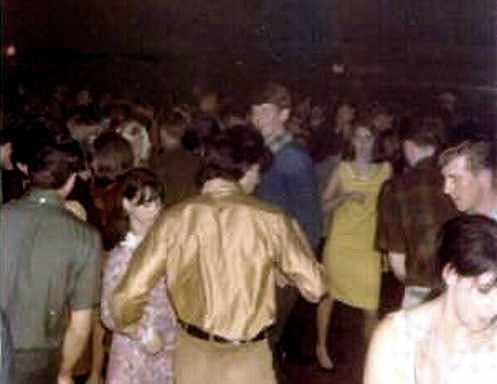 A local South Seattle act that played mostly halls and parties, noted for spawning the careers of several members. We were in our mid teens when this whole thing started, playing mostly covers and a few originals (I particularly remember "Mr. McTavish", a song penned by Nick which I later re-wrote and recorded myself in 1996 as a tribute to the late Nick Mastro). I replaced Nick Mastro (one of the founding members) in 1970 when I was only 15 years old and became the lead vocalist as well as lead guitarist. My influence took us away from the rock standards (old Wilson Pickett, Jefferson Airplane, CCR, Smith, Stones etc.) into more guitar rock-oriented stuff like Led Zeppelin, Chicago (early, with Terry Kath) Deep Purple, etc. Shortly after my joining the band, it became a four-piece with just the core members, Kevin Fawcett, Lee McCauley, Brad Chalcraft and Tom Witbeck. The previous lineup was short-lived but the core members persevered through a lot of BS to play a few gigs, write a few songs, break up, reform, break up and reform several times. It was all in fun but began (for me) the basis of my love of being on stage, something that has stuck with me for my entire life. Thank you to all of you, who gave me my first band and a love for the stage that has never left.